Sportsbetting.ag is a US-friendly online poker site. 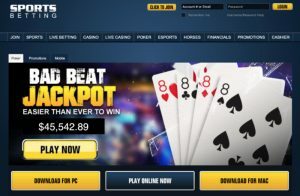 As the name implies, Sportsbetting began as an online sportsbook, but it has expanded into an online card room, racebook, and casino in the 15+ years since it launched. That means many of the cash games and poker tournaments on Sportsbetting include droves of less-skilled poker players. Sportsbetting accepts all major credit cards (Visa, MasterCard, Amex) and five types of cryptocurrency payments. Payouts are fast and secure when players use Bitcoin, Litecoin, Dash, or Ethereum. Even better — because Sportsbetting began as a bookmaker site — it has high payout limits. The site also offers stakes for all levels of players from micro-grinders to legit high rollers. Sunday Major Events: Sunday Major tournaments provide a unique three-tiered prize level for players of all means. Big Withdrawal Limits: Like many online sportsbooks, Sportsbetting handles big payments ranging from $10,000 to $24,900. Bad Beat Progressive Bonus: A staple of online poker sites, if you receive a bad beat, you win cash. Large Pool of Fish: Sportsbetting has a casino and sportsbook, which means there are a large number of unskilled players on the site. Limited Selection: Players can enjoy Texas Hold’em and Omaha but Seven-Card Stud isn’t available at present. Guaranteed Sunday Events: The guaranteed prize pool for Sunday majors is generally smaller than most European poker sites. Anyone making a deposit of $50 or more receive a 100% Welcome Bonus on their first deposit. Make a deposit, then send an email request to poker@sportsbetting.ag to receive your bonus. Use the bonus code NEWSB in the subject line of the email. Once you reach 5,000 comp points, your bonus will be released $10 at a time. New depositors also receive a free entry ticket into the $10,000 New Depositor Freeroll Tournament, which takes place on the 2nd Sunday each month at 17:00 ET (5pm Eastern Time). Tickets are awarded within 72 hours of the new month. The basic deposit bonus at Sportsbetting allows for $3000 in bonus cash. On your first three deposits, you can earn up to $1000 in bonus money for a total of $3000. Use the coupon code SBCASINO when making a deposit to receive the bonus cash. The wagering requirement is 40x and several games are exempted from the bonus: live dealer games, mobile casino games, Video Poker, and table games Blackjack, Baccarat, Roulette, and Craps. The bonus offers range from $25 to $1000 and players have 30 days to clear the requirements. New players who prefer to use a crypto-currency receive a 100% 1st Time Crypto Bonus, while loyal customers receive a 35% Crypto Reload Bonus anytime they use Bitcoin, Litecoin, Ethereum, or Dash. Cryptocurrency depositors can enter the $15,000 BTC Deposit Leaderboard challenge, which gives out as much as $5000 to the monthly leader. Here’s a list of some current welcome bonuses and reload bonuses players should know about. 100% 1st Time Crypto Bonus: Input 100CRYPTO to receive a 100% bonus on Bitcoin, Bitcoin Cash, Dash, Ethereum, and Litecoin. 35% Crypto Reload Bonus: Use 35CRYPTO for a 35% on all qualifying crypto-currency payments. 50% Welcome Bonus: Use the code SB1000 to receive a sports betting welcome bonus. 25% Bonus for Life: Use the code FORLIFE to deposit at least $50, up to $1000 in bonuses. 75% New Year’s Bonus: Play 6 top slots to receive $25 or more. Sportsbetting.ag accepts major credit cards and cryptocurrencies for deposits. If players prefer to use money orders, web wallets, or bank checks, each option is accepted. Customers have 9 different withdrawal options, including 5 cryptocurrency cashout options. Sportsbetting has 13 different deposit options, including a wide range of minimum and maximum deposits. Cryptocurrency users have 5 ways to fund their accounts with virtual cash, including top methods like Bitcoin, Litecoin, and Ethereum. The max deposits range as high as $25,000 on several payment methods, while two methods (Skrill, bank wire) have no maximum deposit at all. Players have nine ways to make a withdrawal. Payment options include five cryptocurrency methods: Bitcoin, Bitcoin Cash, Ethereum, Litecoin, and Dash. The payout method with the biggest transfer limit is bank wire transfers, which allow $24,900 in a withdrawal. Other methods like Skrill have a $9,900 limit, so you can move a lot of winnings at one time. All Sportsbetting Poker game variants are available for Android and Apple devices. Each has a QR code which unlocks the full range of poker games available on the site. Android users need to be running Android OS 6 or higher to play on Sportsbetting. Apple iOS users need either an iPad 3 or higher or an iPhone 5 or later. Once you scan the downloadable app, go to your Downloads folder, tap on the file, and allow the installation. Both QR codes allow you to start playing poker through your mobile web browser. Players can enjoy either Texas Hold’em or Omaha in a multi-table tournament, Sit & Go tournament, or cash game format. The list of tournament types includes: Guaranteed Tournaments, Freezeout, Rebuy, Re-Entry, Multi-Entry, Bounty Tournaments, Satellite Events, Time Limited Events, Anonymous Tournaments, Boost Events, Shootouts, and Regular. Major events include the Sunday Majors, Daily Dozen, Twisted Turbos, Bare Knuckle Bounties, Wicked Weekends, Rebuy Frenzy, Operation Omaha, Sunday Warm Up events, Sizzling Saturdays, Windfall Sit ‘n Go’s, and Tournament Requests. Poker series events are coming soon. Like most poker sites, Sportsbetting’s biggest tournaments of the week are the Sunday Majors. Players can enter the Sunday Main Event for $109, the Sunday Mini Main Event for $22, and the Sunday Micro Main Event for $2.20. Each starts at 4pm ET each Sunday. Their guaranteed prize pools are $60k, $10k, and $1k respectively. The Bad Beat Jackpot rewards players who get a premium hand and lose. It is a progressive jackpot that grows until a bad beat occurs. If you have four eights or better and it gets beaten you’ll be rewarded the Bad Beat Jackpot. The losing player receives a bonus of 17.5% of the pot, while the winner receives a 12.5% bonus. Another 10% of the pot is shared by other players at the table, while 10% goes to players at other bad beat tables. 15% goes to administrative fees, while 35% of the bad beat pot seeds the next Bad Beat Jackpot. Each day, poker players enter into the Daily Cash Race promotion. Actually, the Daily Cash Race is six contests in one. Six different leaderboards exist for six different bet limits, giving players a chance to beat comparable competition for bonus cash each day. First prize is $200 for $2/$5 players, while the 1st prize is $30 for $0.05/$0.10 players. Every bet limit in between has its own prize pool, which includes bonus money for players who place in the Top 3 spots on their daily leaderboard. The Weekly Sit ‘n Go Challenge pays out bonus cash for 20 weekly winners who do well in the SNGs and turbo events. Top 5 leaderboards exist for four different categories: Regular/Turbo, Hyper, Regular/Turbo HU, and Hyper Turbo HU (HU: heads up). The weekly leaderboard runs from Sunday at 20:01pm ET through to 20:00pm ET the next Sunday. The challenge only includes Sit ‘n Go Tournaments (STT’s), so those playing in multi-table scheduled tournament (MTT’s) would not qualify for the event. Prizes to all 20 winners are paid out on Wednesday evening. Seven days a week, players can enter one of the Daily Dozen events or Mini Dozen tournaments. One event apiece starts at midnight, while another starts at 1am. Otherwise, the remaining ten tournaments launch between 2pm and 11pm every day. Buy-ins for the Daily Dozen events range from $11 to $109, while entry fees for the Mini Dozen events range from $3.30 to $22. Bare Knuckle Bounties are poker tournaments where you earn bonus cash for every player you knock out of the tournament. These come in two types: a progressive knockout or a bounty builder format. Five times each day, you can enter a poker tournament with a bounty format. In the Progressive Knockout tournament, you’ll receive 50% of a player’s bounty, while the remaining 50% goes to the bounty on your head. In the Bounty Builders format, all of the award goes to you when you knock out another player. The Rebuy Frenzy series allows for unlimited rebuys (within the registration period) and an extended late registration period. Buy-ins are $11, while the late registration time is 2 hours. The guaranteed prize pool is $10,000, though it often goes higher. The Rebuy Frenzy launched at 8:30pm each day. Poker players can enter the $3000 Happy Hour Freeroll in the live casino each Monday at 5pm ET. The top 50 finishers in the 60-minute freeroll receive their share in a $3,000 prize pool. 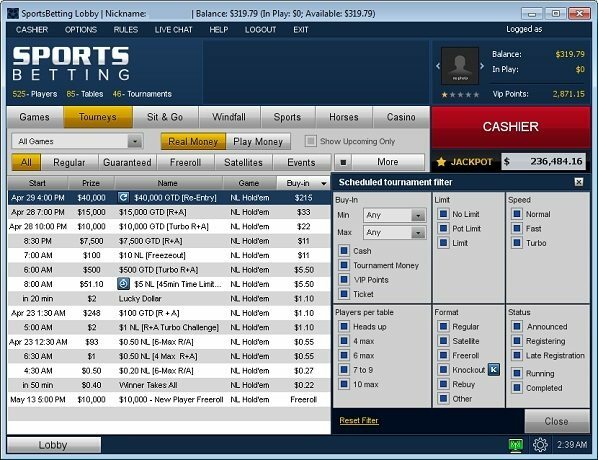 Sportsbetting Poker has a variety of poker events for different kinds of card players: Operation Omaha for Omaha/Hold’em players, Sizzling Saturdays for those who don’t have time on Sunday, and Windfall Sit’n Go’s for those who prefer a “Winner Take All” format. Sunday Warm Up event happen each week. These are smaller poker tournaments for those waiting around for the Sunday Majors. Wicked Weekends is an upcoming set of tournaments in 2019, though Sportsbetting only says the Wicked Weekend events are “Coming Soon” at the present. Twisted Turbo events also are “Coming Soon”. Sportsbetting Poker’s loyalty program is simply called “Comp Points”. For every $1 in rake you pay to the house, you’ll receive another comp point. Later, you can use the accumulated VIP points to buy your way into special tournaments. Visit the tournament lobby to see which poker events accept “Comp Points” as a form of payment. To call Sportsbetting’s customer service department, dial 1-888-843-9027. 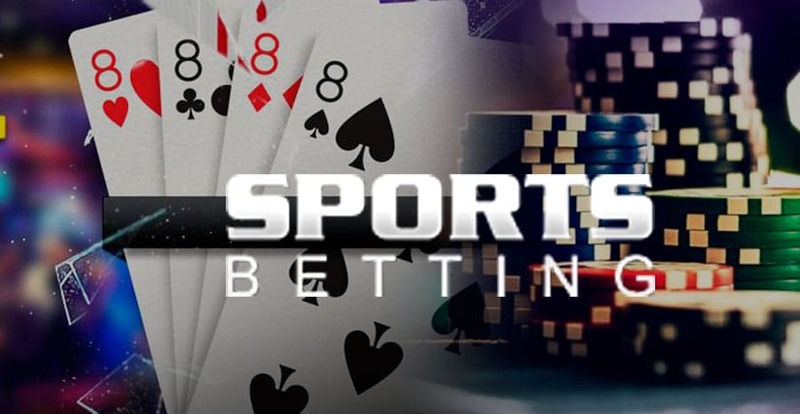 If you have questions you’d prefer answered through email, send poker questions to poker@sportsbetting.ag, casino-related questions to casino@sportsbetting.ag, and more general technical questions to cs@sportsbetting.ag. Sportsbetting offers a full schedule of poker tournaments, Sit & Go’s and cash games. The site also offers fast payout methods for those who use cryptocurrencies or eWallets like Skrill. Those used to credit cards can make payments, but not withdrawals, using Visa, MasterCard, and American Express. Bank wire transfers handle withdrawals worth tens of thousands of dollars in one cash out. Players used to competing in big European poker tournaments might prefer a bigger prize pool on the Sunday guaranteed events. Otherwise US poker players should find everything they want at Sportsbetting Poker. The site offers many promotions and promises even more in 2019 and beyond. Mobile poker players receive full support with the scan of a QR code. 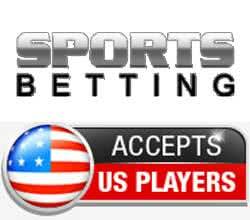 Americans and international players wanting a trusted, respectable poker site with quick withdrawals should sign up for Sportsbetting.ag Poker and give the site a try.